The Traffic Enforcement Unit is responsible for directed education and enforcement related to traffic. The unit’s primary goal is to increase motorist, bicyclist and pedestrian safety, and to reduce the number of people killed and injured as a result of traffic collisions. The unit targets, amongst other violations, unlicensed/suspended drivers, speeders, red-light runners, distracted drivers, and DUI drivers. They also actively enforce the occupant protection laws (seatbelt / child restraint) and laws related to any other unsafe violation committed by motorists, bicyclists or pedestrians. 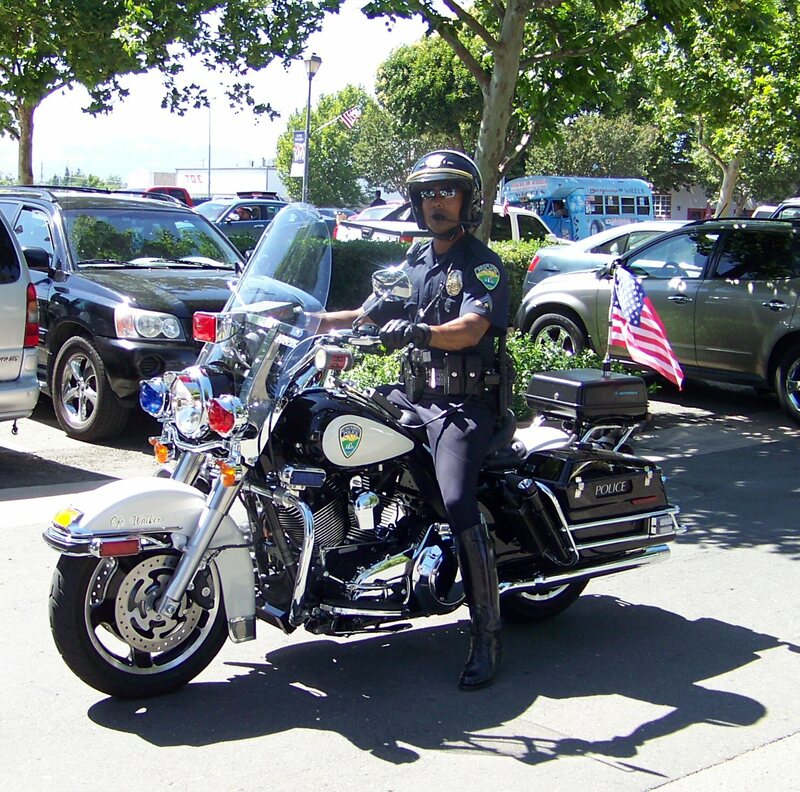 Through grants from the California Office of Traffic Safety, the traffic unit conducts a variety of enforcement operations. These operations range from general traffic enforcement to targeted enforcement for drunk drivers, distracted driving and mandatory seatbelt use. On October first, 1998, the Suisun City Police Department created a Traffic Unit in conjunction with an OTS Grant of approximately $146,000 (Office of Traffic Safety). The program included two marked police motorcycles, four traffic radars (moving and stationary), police radios for the two motor units and all other necessary traffic related equipment and safety gear. The unit actively participates in the Solano County Avoid the 10 DUI Enforcement Task force which is comprised of the 10 law enforcement agencies of Solano County (California Highway Patrol, Benicia Police Department, Dixon Police Department, Fairfield Police Department, Rio Vista Police Department, Solano County Sheriffs Office, Solano Community College Police Department, Suisun City Police Department, Vacaville Police Department, and Vallejo Police Department). The purpose of this task force is the reduction of the number of DUI drivers on the road and to reduce fatal and injury DUI collisions, especially during the major holidays when the consumption of alcohol is prevalent. The task force accomplishes this goal by traveling from city to city and conducting DUI / Drivers License checkpoints and DUI saturation patrols. The task force also seeks to raise the awareness of the community regarding problems associated with drinking and driving. The task force conducts intense public information campaigns during these enforcement periods. The Suisun City Police Department has two certified Child Passenger Safety Technicians. They put their knowledge to work through a variety of activities, including child safety seat checks where parents and caregivers receive education and hands-on assistance with the proper use of child restraint systems and safety belts. National certification of these individuals helps to enhance the credibility and professionalism of all child passenger safety advocates and practitioners, the child passenger safety community, and the organizations and programs that use the services of certified CPS Technicians. Our certified Child Passenger Safety Technicians are available Monday thru Thursday during normal business hours to inspect child seats and to educate parents and caregivers on the proper installation and use of their child seats. The Suisun City Police Department participates in the Click It or Ticket Campaign. Officers educate drivers and enforce the California occupant protection laws not only during the Click It or Ticket campaigns but year round. Click It or Ticket flyers are posted at numerous city buildings and magnetic Click It or Ticket bumper stickers are placed on the patrol vehicles It only takes two seconds to buckle up. Two seconds! And those two seconds could literally save your life. They will also keep you from getting a ticket and a fine. The cost of an adult seat belt violation in California costs $142, and up to $445 for not properly restraining a child under 16. If the parent is not in the car, the driver gets the ticket. If an adult passenger is not seat belted the driver of the vehicle can also receive a ticket. Suisun City has a 91 percent seatbelt usage rate which is in line with the California’s 96.2 percent seatbelt usage rate. The Suisun City Police Department makes the enforcement of distracted driving a top department enforcement priority. The Suisun City Police Department teams up with the California Highway Patrol, California Office of Traffic Safety and other allied agencies for several zero tolerance enforcement blitzes of violators driving distracted year round. A ticket for $159 for texting or talking on a cell phone is a major distraction to your wallet. The Suisun City Police Department participates in the Safe Routes to Schools program in Solano County. The Safe Routes to School program encourages children to walk or bike to school. Included in the program are several bicycle rodeos, schools presentations and general public presentations. The Suisun City Police Department is committed to education for both juveniles and adults. The Traffic Enforcement Unit has developed and implemented a bicycle/pedestrian safety presentation for the local schools. The presentations are designed to encourage children to wear their helmets, and educate them of the dangers at intersections and even their own driveways. Bicycle rodeos are also used to further educate children. The rodeos provide an excellent opportunity to teach proper techniques for crossing intersections and entering the roadway from driveways. A portion of the program is designed to teach critical bicycle skills for safer riding. The Suisun City Police Department deploys a Kustom Signals SMART speed trailer throughout the year in areas where speed is reported as a problem by citizens. The trailer is a portable, self contained, radar unit that serves as a visible reminder for motorists of their speed as well as the speed limit on the road that they are traveling. It also provides valuable statistics that the Traffic Enforcement Unit uses for the deployment of its personnel for enforcement of the speed laws. The Suisun City Police Department and the Suisun City Alcohol, Tobacco and Other Drug (ATOD) Task Force conducts several enforcement sting operations every year on alcohol selling establishments in the city. During the stings an officer and a minor decoy visit the alcohol selling establishments in the city and the minor attempts to purchase alcoholic beverages. Citations are issued to violators who sell alcoholic beverages and referrals are made to the California Department of Alcoholic Beverage Control (ABC) for administrative sanctions on those business. These sting operations are done to help reduce the sources of alcohol available to minors and thus lowering the number of teenagers who drive impaired on the roadways within our community.